In 4 weeks, visibly, measurably rebuilds natural collagen cushion. Densely hydrating cream delivers a potent de-aging stimulus.  Visibly firms and tightens.  Horizontal lines on the neck and vertical lines on the chest appear to "fill in."  Skin looks smoother and brighter.  Can be used by all skin types. 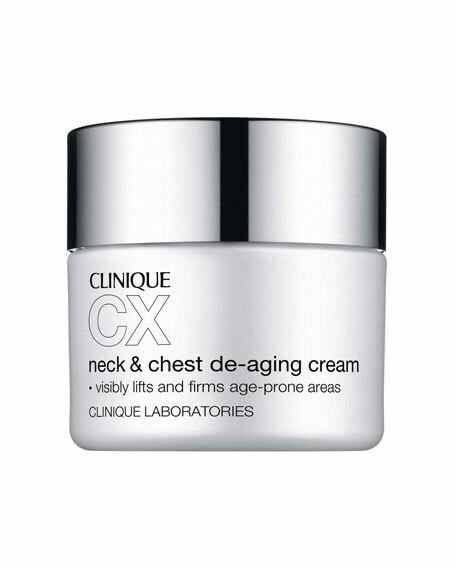 How to use: For best results, apply day and night, smoothing over neck and chest in an upward motion. Make daily sunscreen a habit to help stall visible aging and UV-induced damage to age-prone skin. For in-store inquiries, use sku #254528.